Good morning! I hope you are well today. I am feeling a bit sluggish. I believe it’s because I stayed up watching football. I ended up pulling out my colored pencils and coloring book during the Patriot’s game to alleviate some of the stress. I am going to try to complete coloring a page a week so that I can actually finish a coloring book! 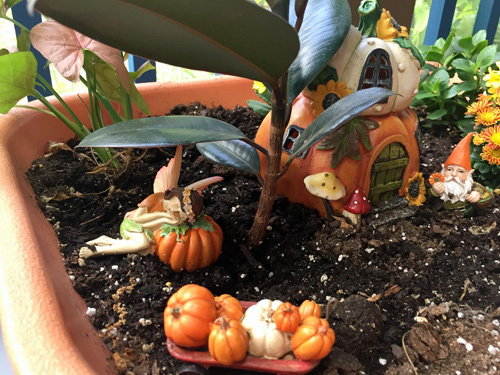 I have included a few photos from my fall fairy garden. I first bought one for my father-in-law a few years ago so I decided to buy one for myself about a year ago. Three of the plants lasted from last year (I tend to neglect my garden between seasons) so I just added the flowers to the landscape. I would like to make a walkway for the little pumpkin house. But that’s it because I can go overboard. I have it on my deck right now but as it gets frosty out, I will bring it in for the winter. Last week was very productive at work and with my genealogy research. I am still at what I call the beginning stages and continue to find inspiration and learn new information from the wealth of Youtube channels dedicated to family history research. My sister is even getting the bug and called me last week to tell me she is sending me a document she found at our family home regarding one of my uncles. Finding Your Roots with Dr. Henry Louis Gates has begun a new season and I just love watching them help people discover more about their family history. On the health side of things, I hurt my knee working out last week and so I have been trying creative ways to keep my fitness program on track. Injuries seem to occur easier the older I become — grrrr. Today is my Meatless Monday and I am proud to say that I have been able to keep this up for several months now. 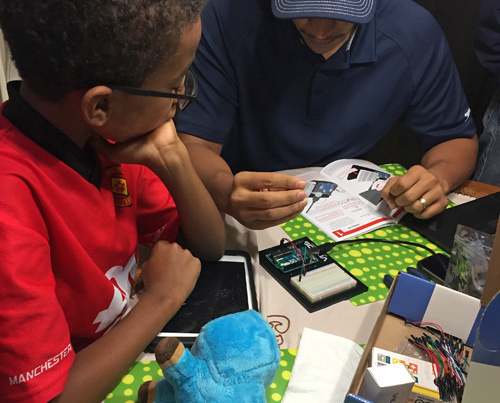 Yesterday it was fun watching Apollo and Leao working on some sort of circuit/computer set that Apollo had received on his last birthday. They get all into it and I love seeing them working together. I wish I had things like that when I was growing up. Very cool. Well, I must go, I have a short work day today because I have to bring Nick to the dentist so off I go. Love the faeries!!! Cindy has some really awesome stuff at the stand that I’m coveting! Rosie has started an interest so I think we can finally do it next summer! Yours is so pretty! Hey girlfriend! 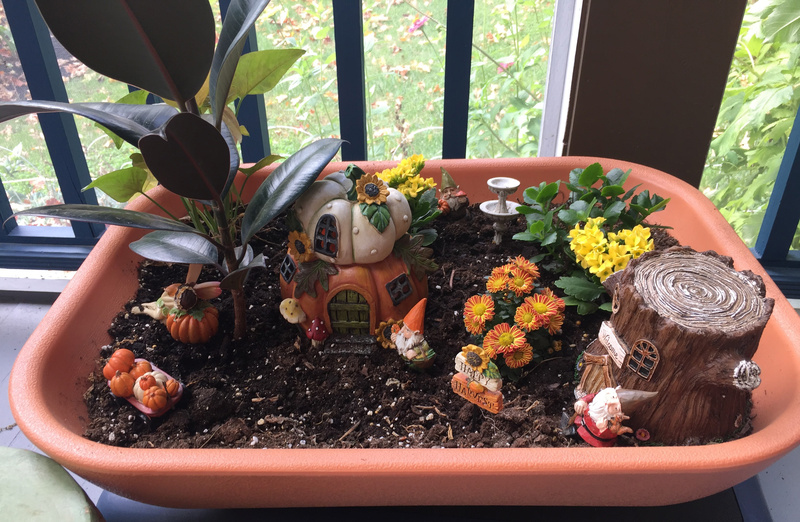 I can’t get enough of fairy gardens and there are always great sales on items for them. But I catch myself before I go too far. My father-in-law made a beautiful one last year. He even made a little house for me to use in mine. Rosie will have fun. It’s like a living dollhouse and you could even do a few in special places around your land that she could visit that could be her very own secret garden! I really like your fairy garden! Very cute. I also tend to neglect my plants. I have herbs that need a little attention right now but it’s so hard to find time between work. 🙂 Have a good week! Hey Leah! I love gardening but there always come a point where I have too many interests taking up my time. 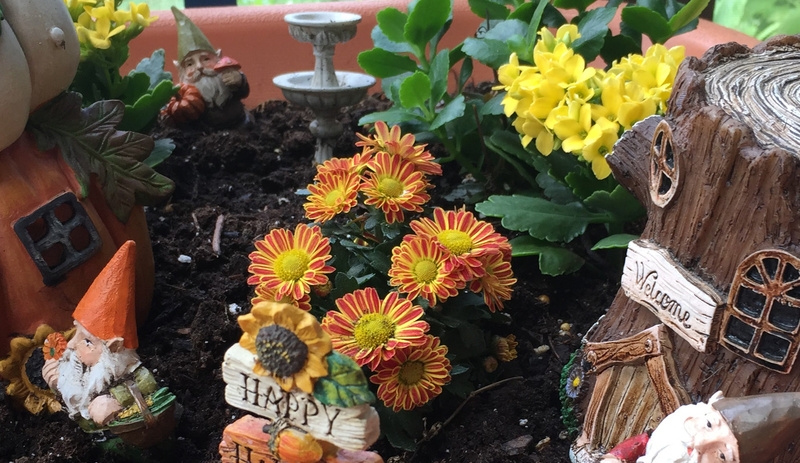 But the beauty of fairy gardens are they are so tiny and require little care depending on the plants you use.